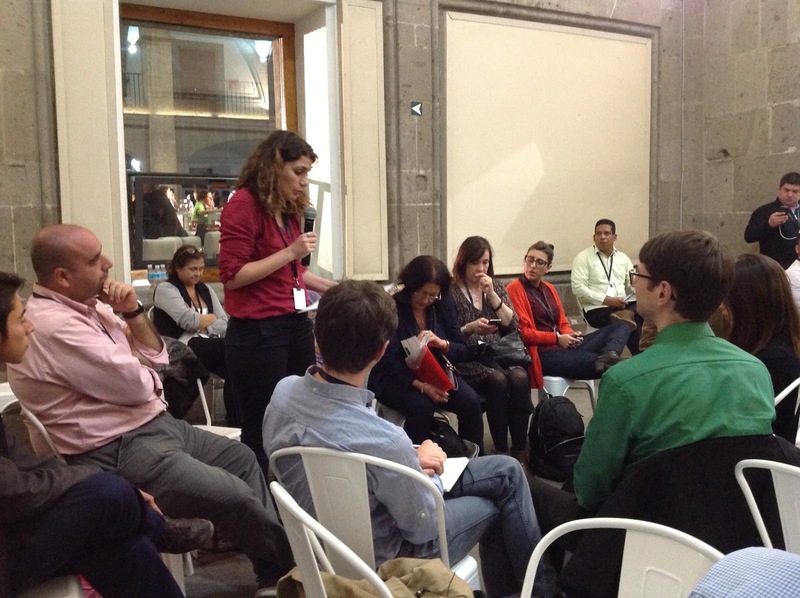 Silvana's blog: Some comments on the workshop with Freedom of Information and Open Government Data Communities. Some comments on the workshop with Freedom of Information and Open Government Data Communities. During last week's OGP Global Summit we had two opportunities, for the first in this context, to talk about convergences between the Freedom of Information and Open Government Data communities. In the next few lines I include some of the first impressions of the workshop -organized with the help of Moisés Sánchez- held the day before the official start of the Summit. I will write a more elaborated document in the next few weeks but I don’t want the memories to fade away while other activities begin to fill the calendar. The Freedom of Information (FOI) and Open Government Data (OGD) communities present not only different backgrounds but also a diverse set of goals and drivers. Although these two approaches (FOI and OGD) are complementary, these two groups are not working as closely as one might imagine. The differences in approaches, languages, and skills, among other features, seem to build barriers to the interaction. However, those differences are the key elements that make this collaboration necessary. 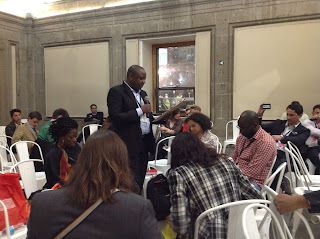 Already in 2013, in a post, which was published on the blog of the OGP (open Government Partnership) Civil Society Hub, I mentioned that OGP would be an ideal scenario to promote collaboration between these communities. A couple of years later (and many projects and initiatives in both areas) the conversation on the links between access to public information and open data has resurfaced. After the 3rd International Conference of Open Data (held in Canada in May 2015) a debate, which began as a discussion about the relationship between privacy and openness, soon focused on the relationship between the FOI and OGD communities. In this context, the OGP Global Summit certainly offered an ideal setting to promote the conversation. This was so because the Summit offered the possibility to bring together very different actors (in terms of geographical aspects to interest and background). The workshop, which took place on Tuesday 27, aimed to promote not only the conversation but also future projects involving the collaboration of actors in these two communities. The Civil Society Day provided a space for conversation between these two communities. As this debate goes beyond the boundaries of a particular country or region, facilitators and participants from different regions were invited. 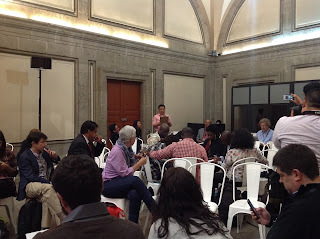 Each table (divided by region, mainly to avoid language barriers and so participants can clearly reflect the peculiarities of each of them) was facilitated by experts from both communities (FOI and OGD). 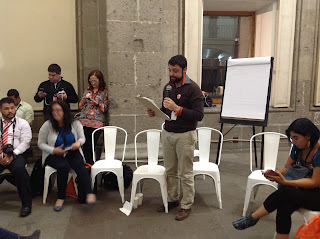 Fabrizio Scrollini (ILDA), Pablo Collada (Ciudadano Inteligente) and Ezequiel Santagada (Idea) were in charge of the Americas’ group (most of participants came from Latin America though). Helen Darbishire (Access Info Europe) and Mor Rubinstein (OKFN) facilitated the European table while Michael Canares (Jakarta Open Data Lab) and Ilham Saenong (Transparency International Indonesia) took care of the Asian table. In the African table, Savita Bailur (Web Foundation) and Gilbert Sendugwa (Afic) facilitated the conversation. The topics were quite broad. The reason behind it was to present some topics to guide the conversation but not to impose definitions and/or particular approaches to the conversation. Thus, participants could contribute with their own views and opinions (especially considering the different perspectives that each of these communities present). Participants, from all regions, agreed that the possibility of requesting and accessing data in reusable formats should be part of every FOI legislation. In that sense, legislative reforms to explicit add these provisions in current FOI legislations are needed. Data is the "raw material" that, after processed, can be turned into information. Thus, data is a component of information. That is why there is not much discussion about the links between data and information, and thus, the need to add provisions to request and access data in reusable formats to the current legislation. The possibility to request data in reusable formats is part of the changes that ICT have brought to every aspect of our lives. Beyond this consensus on the need for reforms to expressly include the access to data in reusable formats, it should be noted that participants were also concern about the lack of infrastructure and capacities of public sector agencies to collect and publish data in those formats. In this regard, further work in terms of ​​record management is needed. A few decades ago this area was focused, among other things, on the preservation of documents to be later proactively published and/or disclosed when requested. However, nowadays, there is a need to create the infrastructure, the knowledge, and to have the will to allow instruments, that agencies use to generate and collect data, to be designed with the aim that data can be published and reused by any member of society. Although the time for discussion was very brief some other points were raised. One of those issues that were also mentioned was the need for a space to share story about the use of information and data. A common space to meet and promote the uses in both areas was mentioned as an initiative that should be developed. Studies, reports and other assessments can be very interesting for a certain sort of public but to tell a story, to give the data and information a context, can help people relate to the topic. This could help in the promotion of the value of accessing government data and information. This could assist not only for civil society organization working in these particular issues but also for public sector agencies that collect and publish such information and data. This was one of the least explored issues during the workshop. Perhaps the complexity of the issue requires not only more time for the discussion but also participants specifically involved with issues of measurement. In spite of that, there were mentions to the lack of consistent measurements, along with the need for them. It was also noted that there is a need to explore and carefully analyse what we need to measure (to ask about issues that matter most to both communities). Although the idea of ​​joint and/or complementary measurements of both areas was not analysed, participants agreed on the need for more systematic information on the implementation of both policies/instruments. This point was the workshop’s main objective, despite that it is known that it is very difficult to provide concrete options with such limited time. In the next few lines I would highlight some of the ideas that were discussed in the workshop and should be considered and implemented. This issue was raised in the group of Latin America but is a point that has been mentioned in other opportunities and meetings. This point is key to move forward a common agenda between the two communities. In most of these conversations, the involved actors are “generalists” on each agenda (FOI or OGD) and they are, in most cases, unfamiliar with the use (and needs) of information and data in certain sectors such as health, education, etc. (Examples could be almost endless). In the case of Latin America the area of ​​ human rights’ protection was highlighted. A large number of countries in the region (including the host of the Global Summit) have enormous difficulties in the area of ​​protection of those rights. This, like many other examples, could be a starting point for strengthening the relationship and communication between the communities of FOI and open data. This topic is closely related to the above-mentioned point. While it is a very general idea, you need to start thinking about key areas (as mentioned in the previous paragraph), and, within these areas, the priorities for different actors. The latter is important because although both groups focus on similar objects (information and data), each does so from a different perspective, resources and with a myriad of goals. This point, although it seems obvious, is key to continue the conversation. In this sense, it is necessary to create spaces of interaction (virtual and face-to-face) so debates are not limited to annual (or biannual) events and the will of the organizers to include a session or a workshop on this topic. Much has been said on this point: from the idea of ​​a specific event to a platform to share stories. Despite the specifics, it is time to put the discussions aside, for a moment, and move on to the concretion of the ideas. These were just some of my first impressions of the workshop on Tuesday 27th. 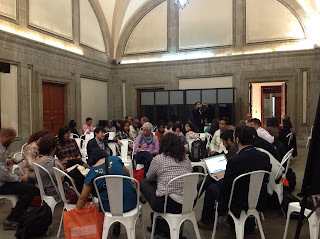 A couple of days later (Thursday, 29th) we had the opportunity to address similar issues with the anchors of both (FOI and Open Data) OGP working groups. In the next post I will include some of the key points from that session. Going back to the workshop, we only had a little over an hour to have a conversation. Although time did not allow for a deep conversation on each of the above-mentioned points, it is key that we have resumed the conversation (and in a face-to-face interaction). Much remains to be done. The convergence of agendas is an area that many mentioned but, for now, few have seriously addressed and resourced.